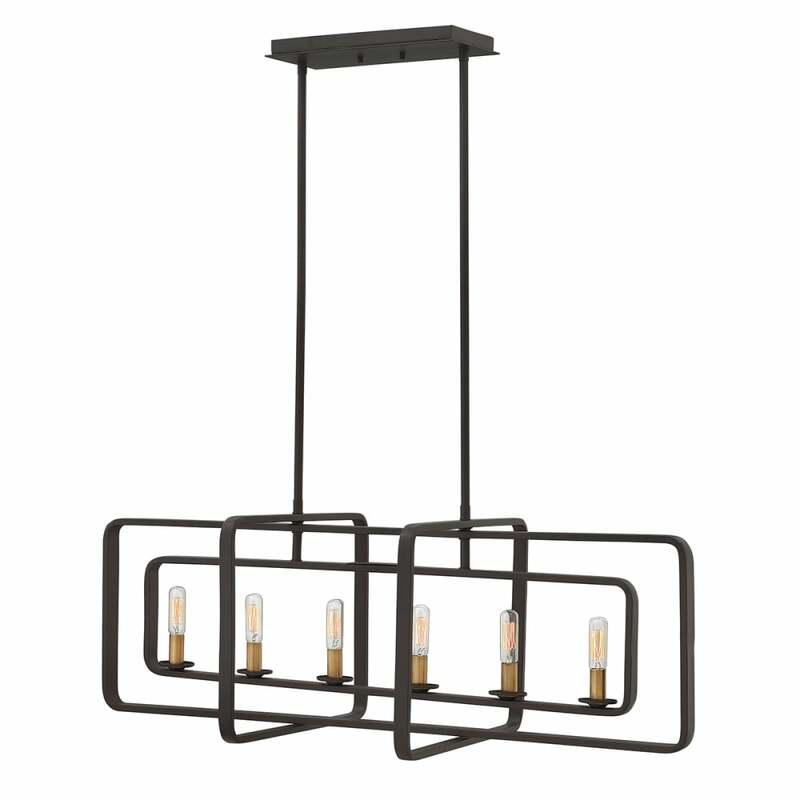 Beautifully finished in Buckeye Bronze, this stunning island chandelier represent a perfect marriage of hip contemporary elements and historical vintage charm - featuring concentric rectangular forms with rounded edges arranged at angles. Contained within, candle sleeves enrobed in warm Heritage Brass impart a distinctly old-fashioned style. See as well the two matching 4 light pendant/semi-flush chandelier designs. View All Hinkley for more information on Quentin or view the complete Quentin Collection. - Supplied with 2 x 152 & 4 x 305mm rods.